A loan of $1,000 helped to buy vegetables. 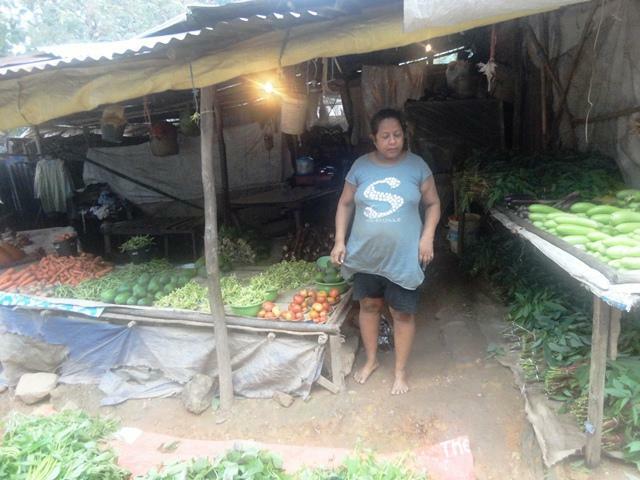 Eva has a kiosk to generate income for her family. She has been thinking about how to run a big business, but she does not have enough working capital. She feels better that she applied for her first loan $1,000; she will buy some additional supplies to keep in her store, such as vegetables. She is happy with TRM (Tuba Rai Metin) because it offers loans to poor people. This loan is part of KIF’s effort to reach microentrepreneurs in East Timor, a region suffering from a deeply underdeveloped financial sector. Since its independence in 2002, East Timor has struggled with internal tensions which led to the quasi disappearance of its financial system. As of 2012, KIF is one of only two MFIs operating in East Timor trying to respond to the needs of thousands of microentrepreneurs. This loan provides underserved borrowers with critical capital to sustain their existing businesses or to improve their living conditions. Kaebauk Investimentu No Finansas, SA is a microfinance institution in East Timor, one of the smallest, newest and least developed countries in Southeast Asia. The organization provides credit, savings and micro-insurance services to more than 7,000 clients. Its goal is to extend its reach into even more remote regions through branchless banking services. Kiva is proud to partner with Kaebauk Investimentu No Finansas, SA (KIF) in reaching a large, unbanked population. In particular, we are excited to support loan programs designed to support post-conflict communities. Kiva’s flexible, zero-interest capital will also help KIF expand its non-credit services, including savings accounts and insurance programs, to help clients achieve economic stability.